This is the view from the vineyard site. You are looking west at the Cascade Mountains. 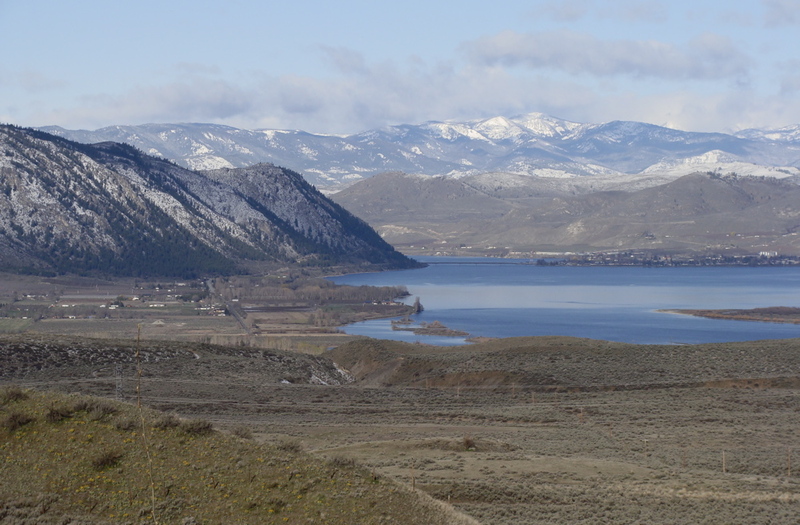 and the Lake Peteros part of the Columbia River. 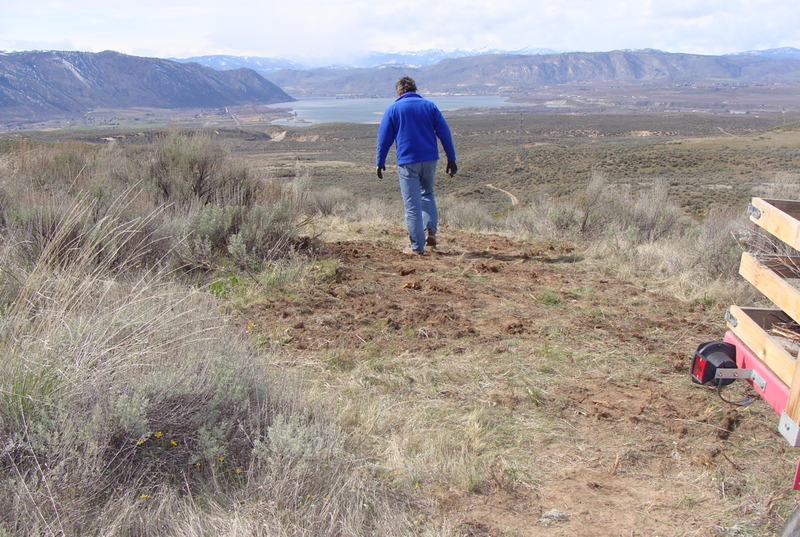 Clearing new access road. Finished for now! 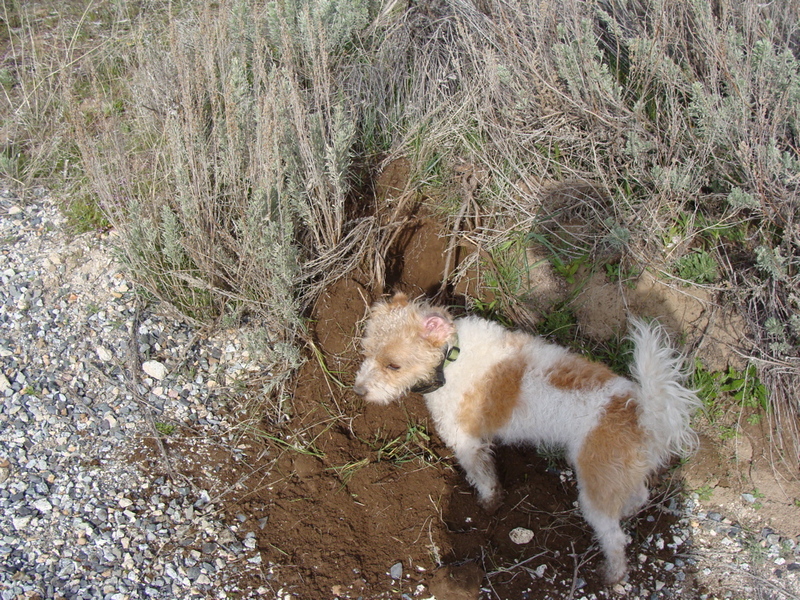 Our dog Brix, looking for rodents! 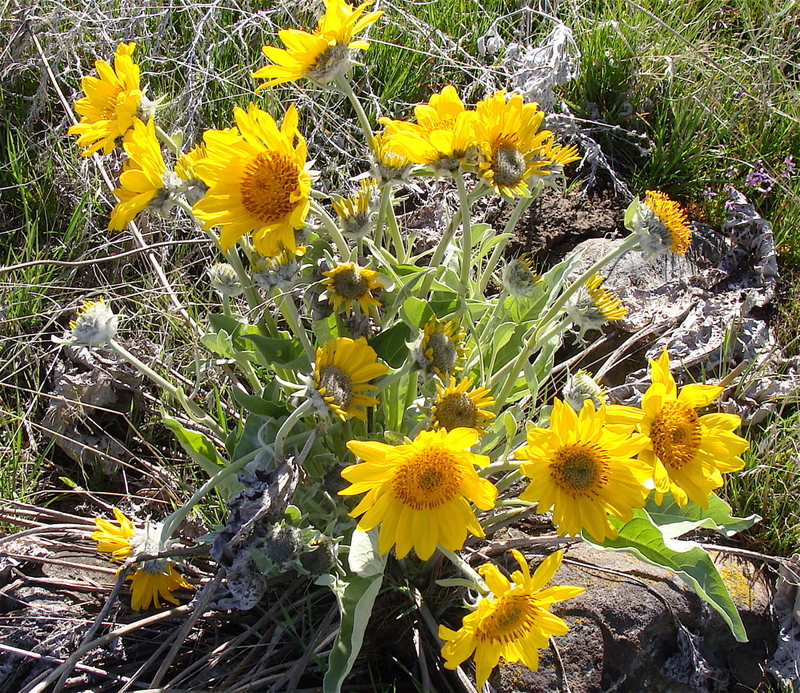 Balsam root in full glory! 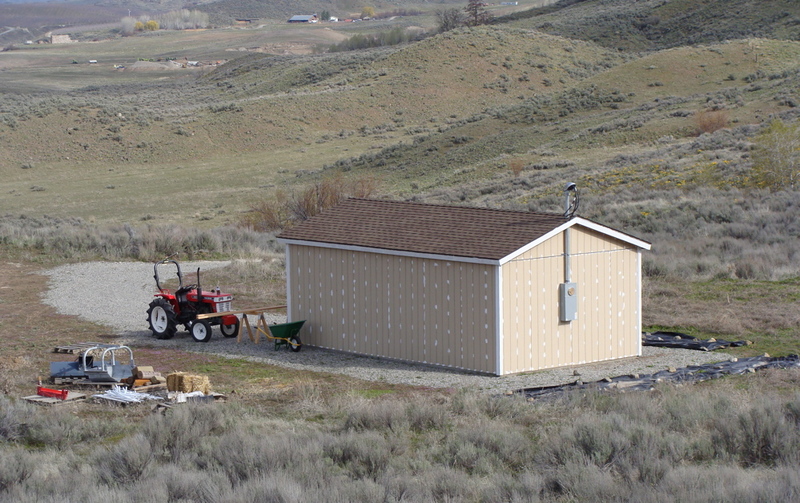 The garage is ready for the “power” now! 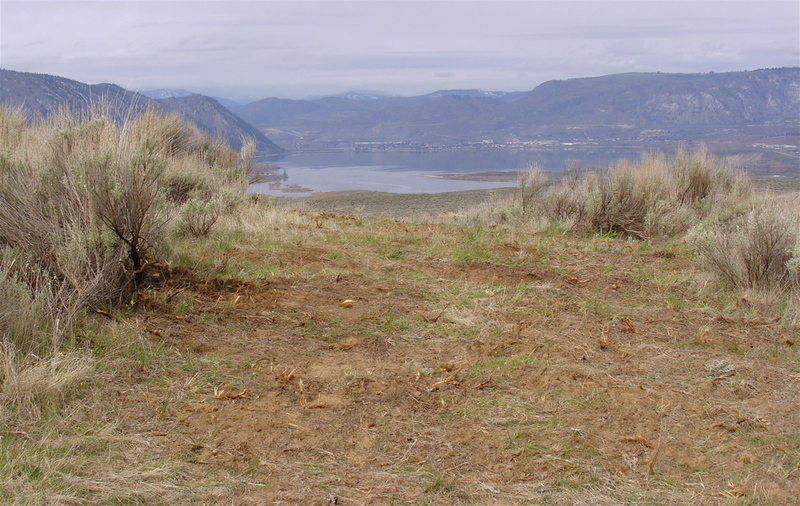 Posted on April 6, 2010, in Uncategorized and tagged Analogue Vineyard, balsam root, Brewster WA, Cascade Mountains, Columbia River, Lake Peteros. Bookmark the permalink. Leave a comment.